This is our resident spider. 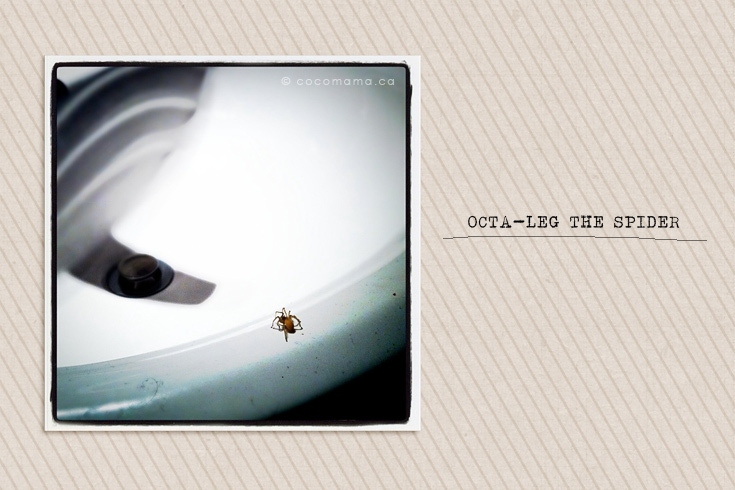 I affectionately (and creatively) call him Octa-Leg. He lives in our bathroom. He makes a good tenant. Never complains and keeps the place tidy. My only concern is that he may decide to drop in on me when I’m in the shower (I don’t like surprise visits).